You might think that measuring the performance of a fundraising organisation is simple. You keep track of the donations you bring in, and the higher the number, the better you are doing. The reality, sadly, is not as simple as this. As a charity or fundraising organisation your performance will be dependent on a range of different factors. While donations might be one of the key indicators you use to determine how well you are doing, it is just one of several important elements. So what else should you be looking at when judging your performance? Of course, as a fundraising organisation you are likely to be primarily concerned with the total donations you are securing. You will already be tracking the amount of money you raise and, hopefully, where that money is coming from. Donations may continue to be used as the most important marker of performance in your organisation. But there is a range of other areas that must be considered if you are to maximise those donations, and ensure that your fundraising runs smoothly. Efficiency is a major concern for organisations of every type, but particularly for those operating in the charitable sector. Cash is likely to be tight, and you need to make sure that every penny is well spent. 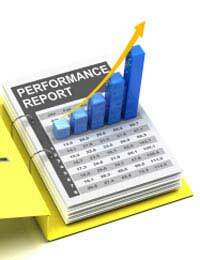 You should therefore consider efficiency as a key element of your performance. If your efficiency is increasing your overall donations will probably go up – and, perhaps more importantly, a higher proportion of the cash you raise will go to the cause, rather than towards administration. You can measure efficiency in a number of different ways. For many fundraisers, the most useful of these will be to consider how many pounds you are spending for each pound that goes to the cause. Your aim should be to reduce the expenditure per pound of donation as far as possible. Aside from donations, interaction is the most important thing you can hope to secure from the public. This is another key element of your performance, and one that should be tracked. Many charities and fundraising organisations fail to keep track of levels of interaction, despite its importance. You should record things like the number of phone calls, website hits and emails you generate, and continue to do this on a weekly or monthly basis. You can then put these figures next to your marketing schedule, and determine which techniques have been most effective in drumming up interest. Remember that interaction is a sure sign of interest. Raising the profile of the cause, and encouraging the public to engage with you in some way, is a key goal for any charitable organisation. Judging your performance as a fundraiser can be a more complex task than it first appears. But, by considering the full range of factors that affect your fundraising, you can make sure that your efforts improve – and, ultimately, that you generate as much cash as possible for your chosen cause.